There are a lot of corporate deals happening and many involve our beloved Transformers. We were sent a press release from Hasbro regarding an international distribution deal with Cartoon Network for Transformers: Cyberverse. Transformers: Cyberverse will be coming to Europe, Middle East, Africa and Latin America in late 2018. You can read the press release below. While no specific properties were mentioned on the call, the deal would seem to provide Netflix with access to valuable IP such as Transformers, Star Trek, Cloverfield and more. This is because Paramount does own the license for Transformers films and if anyone is curious about what that entails legally, we unearthed Viacom's legal agreement/ownerhip details. You can click here to see it. 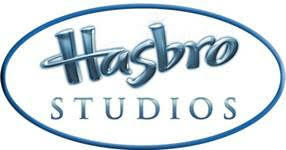 Burbank, CA, November 20, 2018 - Hasbro Studios, the Los Angeles-based entertainment distribution division of Hasbro, Inc. (NASDAQ: HAS), announced today an international deal with Cartoon Network to distribute Season One of the hit animated series “Transformers: Cyberverse” to Europe, the Middle East, Africa and Latin America. The deal includes both linear and digital distribution to bring the show, which is already a hit on Cartoon Network in the U.S., to the rest of the world. (NASDAQ: HAS) is a global play and entertainment company committed to Creating the World's Best Play Experiences. From toys and games to television, movies, digital gaming and consumer products, Hasbro offers a variety of ways for audiences to experience its iconic brands, including NERF, MY LITTLE PONY, TRANSFORMERS, PLAY-DOH, MONOPOLY, BABY ALIVE and MAGIC: THE GATHERING, as well as premier partner brands. Through its entertainment labels, Allspark Pictures and Allspark Animation, the Company is building its brands globally through great storytelling and content on all screens. Hasbro is committed to making the world a better place for children and their families through corporate social responsibility and philanthropy. Hasbro ranked No. 5 on the 2018 100 Best Corporate Citizens list by CR Magazine, and has been named one of the World’s Most Ethical Companies® by Ethisphere Institute for the past seven years. Learn more at http://www.hasbro.com, and follow us on Twitter (@Hasbro) and Instagram (@Hasbro). Cartoon Network is Turner’s global entertainment brand and the # 1 animation network in the U.S., offering the best in original content for kids and families with such hits as, Adventure Time, The Powerpuff Girls, Steven Universe, We Bare Bears and The Amazing World of Gumball. Seen in 192 countries and over 400 million homes, Cartoon Network is known for being a leader in innovation with its approach to engaging and inspiring kids at the intersection of creativity and technology. But how will Cartoon Network fit anything new in between all those Teen Titans GO episodes they have to air 24/7? Kyleor wrote: But how will Cartoon Network fit anything new in between all those Teen Titans GO episodes they have to air 24/7? They'll fit in new things. Like new episodes of Teen Titans GO. And more new episodes of Teen Titans GO. And even more new episodes of Teen Titans GO. There is nothing but Teen Titans GO. In all seriousness, I think Cartoon Network should create a second channel for nothing but Teen Titans GO, and then go back to making stuff that actually has effort put into it. i dont understand the comments, the show has been playing on cartoon network in the US for weeks now. william-james88 wrote: i dont understand the comments, the show has been playing on cartoon network in the US for weeks now. We're just making fun of CN and their obsession/fetish for showing TTG as much as possible. Which should be done whenever the opportunity presents itself. 3,799 pages were recently viewed by 532 unique visitors. This page was viewed 1 times on Thursday, April 18th 2019 5:30am CDT. © 2019 Seibertron, Inc. DBA Seibertron.com. All Rights Reserved. Established June 2000. Seibertron.com is owned by Ryan Yzquierdo.